Peter Rudiak-Gould is currently pursuing a doctorate in anthropology at Oxford, focusing on Marshallese understandings of global warming and sea level rise. 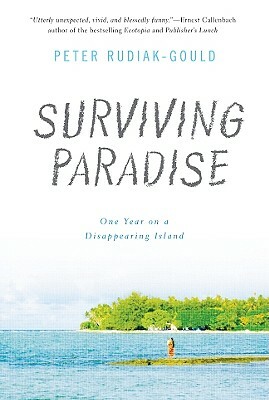 In the summer of 2007, he interviewed the President of the Marshall Islands regarding the effects of climate change. Proficient in Marshallese, the native language of the Marshall Islands, he is the author of the language textbook used by the WorldTeach volunteer organization as its official language manual for the Marshall Islands program.